So that’s it then. The Pope has spoken. We can no longer ridicule religion. 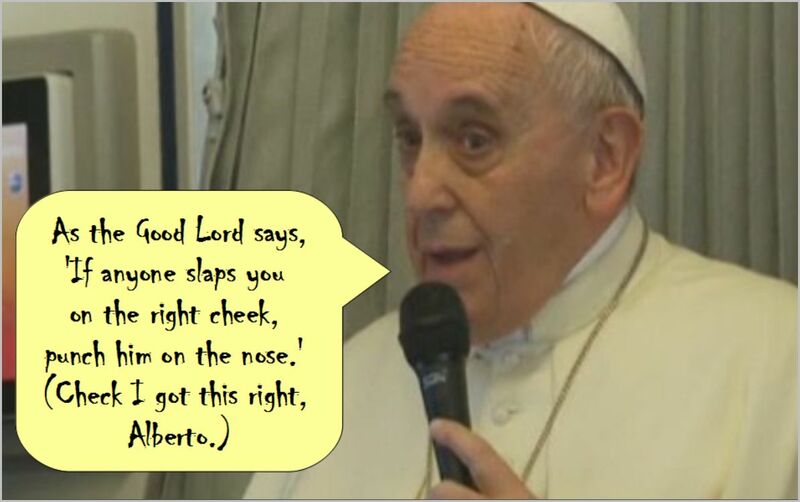 Frankie warned yesterday that faith, his own especially, cannot be mocked. Shame. I was enjoying this. This entry was posted in Christian failure, Christianity's failure to deliver, The impossibility of faith and tagged Catholic Church, Jesus, Matthew, Pope by Neil. Bookmark the permalink.